NEW BERN, Craven County — NASCAR drivers are busy with the Chase, the sport's postseason. But they're never too busy to show their appreciation. NASCAR star Brad Keselowski stopped by with his Checkered Flag Foundation to visit first responders at the New Bern Fire Department on Thursday. He brought supplies, a hot meal and smiles that were as much appreciated by those who received them as they were to see the driver. "I like to think that we are blessed to be a blessing and being a race car driver, I feel very blessed and it gives me tremendous opportunity to do great things on the race track and off the racetrack," Keselowski said. "I'm very much committed to that with my foundation." He said he wanted to help those who go out of their way to help others. 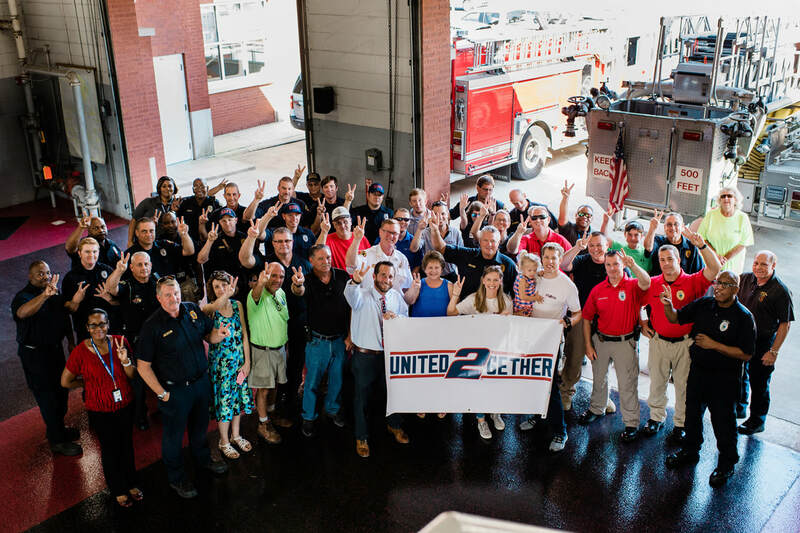 "Of course, a lot of the focus is going to be on the people who were directly affected, but I like to think of our first responders as the people who are helping the people in need and are behind the action," Keselowski said. "So if we can support them, then we can let them do their job." Click here to watch the video from NewsChannel 12's Nicole Griffin of Keselowski's visit.